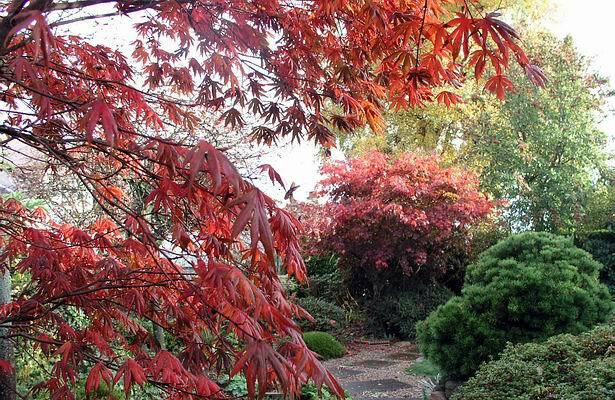 Having just seen the start of the fall colours on my trip to North America I now return home just in time to catch the last few days of our own autumn colours in the garden. 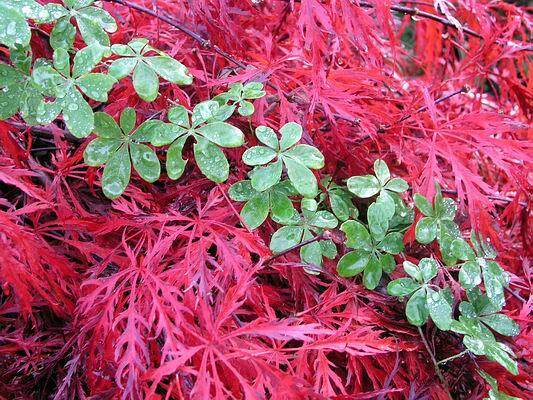 Gardens left to their own devices will produce some lovely accidental combinations like this Tropaeolum speciosum creeping through the Acer dissectum - the effect heightened by the water droplets. I had a great trip to the USA and Canada where I met lots of new friends, many of whom are regular visitors to our web site. I urge all our visitors to become active members of the site by registering and joining in the forum pages - ask questions, provide answers or just let us see some pictures of your plants and gardens. If you do not want to contribute in this way please at least sign our Guestbook and let us know you have visited. 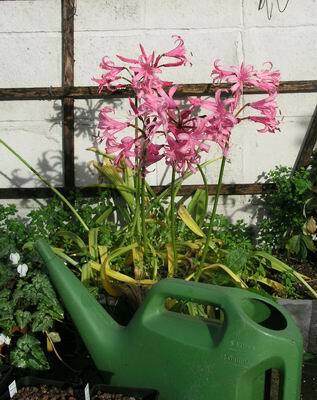 Nerine bowdenii never fails to flower well for us as long as we do not plant the bulbs deeply. I know I am always telling you that many people do not plant their bulbs deep enough but this is an exception. They will not flower unless the bulb is almost half out of the ground. While in the USA I was impressed with how well Matt Mattus from Massachusetts was growing some of the Nerine cultivars: they were beautifully displayed in elegant pots that he had thrown himself. Over the next few months I will try and address the many bulb related questions that arose on my tour and I am repeatedly asked. 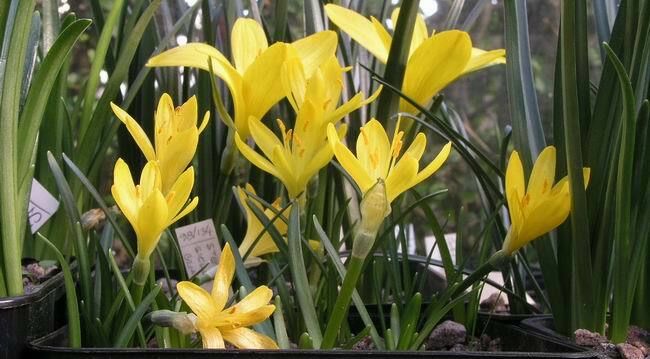 In the front the small flowers are of Sternbergia sicula and the two larger ones to the rear are S. lutea. The reason for showing this picture is not just to show you the pretty flowers but I also want you to notice the amount of leaf growth that the plants have made so quickly since they were pictured on previous logs. This over view not only gives you an idea of the scale of leaf growth but look at the plastic pots and you should be able to see that they are being distorted by the growth of the bulbs and roots. I will now apply a level teaspoonful of sulphate of potash to the top dressing of each pot. Then, every time I water, some of this potash powder will be taken into solution and feed the bulbs. never suggest over feeding your bulbs but I do stress that you must supply a steady source of food. 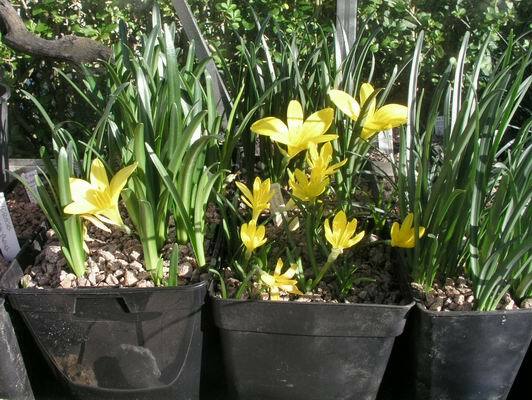 I recommend that you start to apply supplementary feeding of a high potash food around the time that the bulbs leaves are three quarters grown and the flowers are just going over, at this time the plant will start to make seed, if it has been pollinated, and also build up its bulb for next years flowering. I am not afraid of my methods being challenged, I am constantly challenging them myself as I continue to experiment, but I am concerned that people new to growing bulbs will be put off from feeding their bulbs adequately by such comments. It is my experience that most people are guilty of under feeding their potted bulbs rather than the other way around. I only recommend what I find works well for me and I provide you with the evidence on a weekly basis. 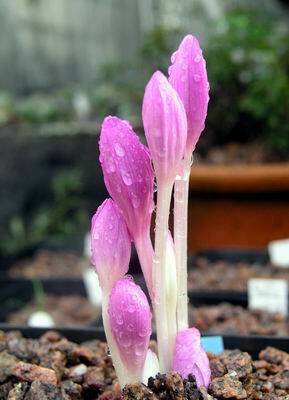 I showed you Crocus caspius, in log 40, as it was just emerging; well here it is still flowering four weeks on. 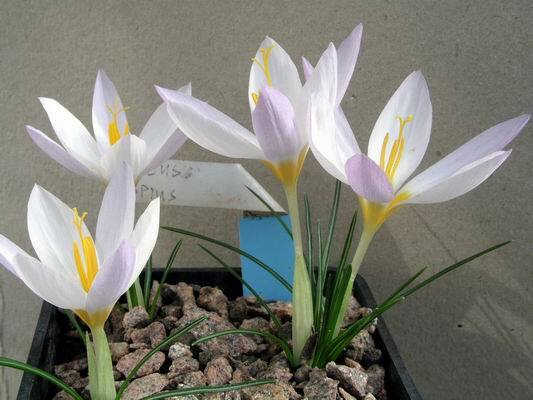 It is wonderful to see all the superb pictures of Crocus appearing on the Forum pages, so many that they have their own thread now. 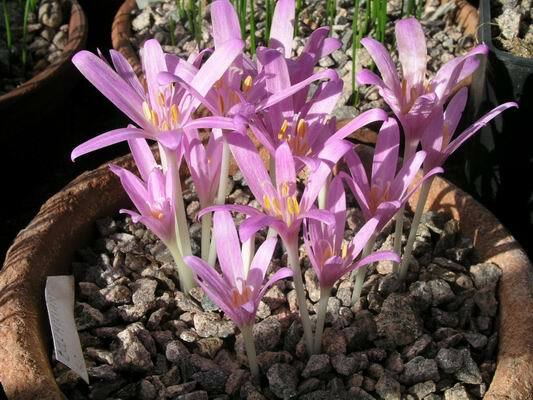 I always like to tell people that the only month of the year that we do not have a crocus in flower is June, not many other genera of bulbs can boast that. I have never managed to get a definitive identification of this lovely Colchicum sp. from Greece despite showing it to several experts but this does not stop me enjoying its lovely flowers. 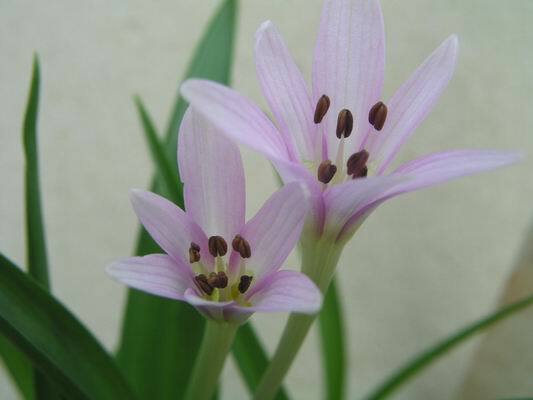 I have never managed to trace any record of this tiny flowered, sweetly scented, Colchicum coustourierii. That is the name I got it under but so far I have not found a mention of it in any books. Not so with Colchicum autumnale this is one of the more commonly seen colchicum available. 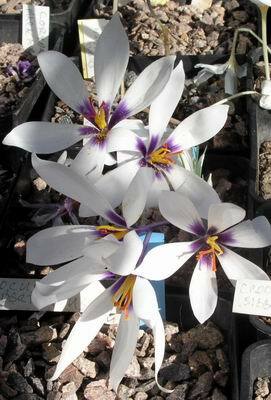 Along with its white form it must produce more flowers per corm than any other colchicum I know (at least eight flowers coming from this corm) and this makes it one of my favourites. The very first narcissus in flower for us this year is this Narcissus cantabricus foliosus. 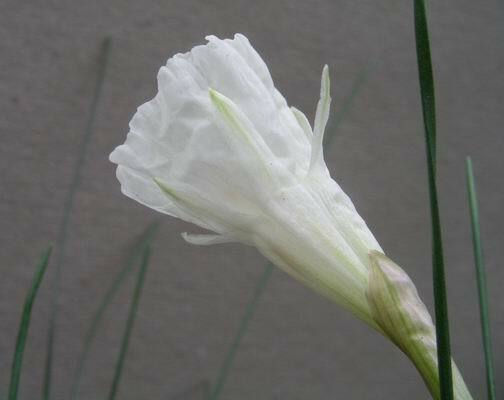 Sometimes it does not come into flower until January and I think that the time it flowers depends on the soil temperatures at the time the bulb is making its roots. If it is very cold then we get a late flowering, if it is mild then we get an early flowering like this year. This is the sight from the bulb house that greeted me when I arrived back home last Thursday, still plenty of crocus to enjoy. 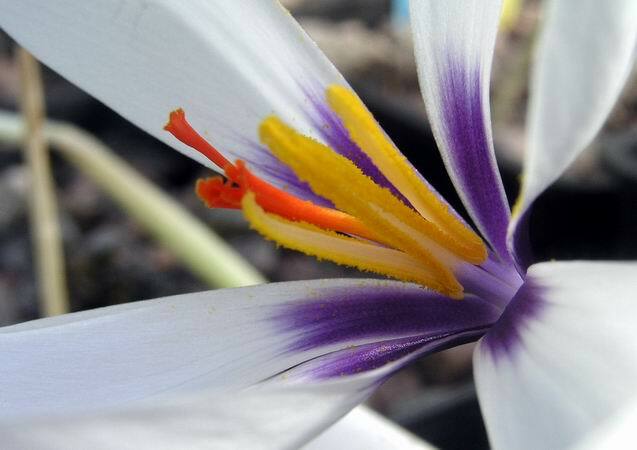 Like Crocus mathewii which with the dark throat is a real stunner of a plant. This pot is a single clone which has been selected for the fine colour. It is well worth taking a closer look at it.